For many proposed developments to gain planning permission to proceed there is a requirement to 'put something back' where an existing habitat is likely to be affected. In order to protect British wildlife, mitigation, compensation and enhancements are often required, particularly if protected species are at potential risk (Bats, great crested newts, and slow worms are often the most vulnerable). 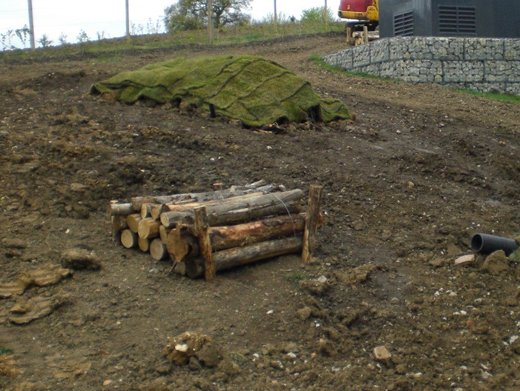 We have erected various barriers for newts, slow worms and lizards and have constructed various reptile hibernacula's. Future View Landscapes believe British wildlife's welfare should be looked after, and we are happy to accommodate all mitigation, compensation and enhancement work required on site.